Matt Wieters will have the greatest season by a rookie ever and will propel the O’s to the WS. 3. We are due!!! 11 straight losing seasons!!! Only the Pirates and perhaps the Royals are more due. 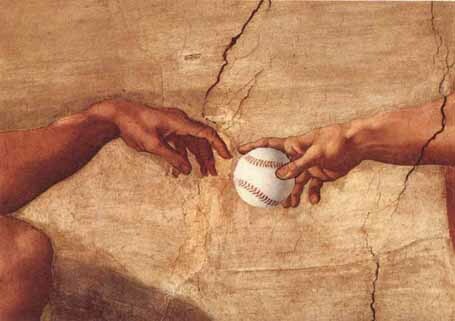 (BTW bold prediction O’s over Roayls in ALCS) May the baseball gods help us! MATT WIETERS!!!!! And when they are called up they all will make a difference. 5. Orioles Magic is real!! 6. We have what our lucky charm. Koji! He’s our first Japanese player and that might be what the O’s needed. Just look around the league, the marque teams have Japanese guys, the RAYS HAVE A GUY! 7. The O’s are motivated by the Ravens to be overachivers get the citys love back. 9. We have an equally good in field with Izturus, Huff, B-Rob and Melvin each bringing something different to the table. I’m going to start writing team previews. I shall begin with the O’s. The Baltimore Orioles were one of the most busy teams in terms of free agency. Seven key additions. However the Yankees signed the two main free agents the O’s were bidding for: Mark (insert cuss that ends in ing here) Texeira and A.J. Burnett. I along with pretty much every other O’s fan out there would pounce on Texeira gear. However the Orioles moved on and Andy McPhail made some nice moves. He changed up the rotation. I’m so glad that he got rid of Hernandez and Cabrera. Cabrera as the O’s Fred Manfra and Joe Angel describe him as: A girl with curly hair. It’s either is really good (say the time he had no-no against the Yankees through 6 or 7) or really bad. He always made me nervous. And Ramon Hernandez was a slow poke. He never seemed like he was hustling. However his back up Guillmero Quiroz was always hustling. The Orioles also did two things to really boost their revenue. Change uniforms which result in big time cash for those who want to get the up to date gear and they also signed a Japanese player. And according to my fellow bloggers who have Dice-K or someone else they take tours and hold up signs that nobody can read. The Orioles farm system is freakishly gifted. They have Matt Wieters!!! This guy will be the O’s version Evan Longoria. Speaking of the Rays the O’s have plenty of similarities. First they changed their uniforms, second they have a big name prospect waiting in the wings. I strongly believe that the O’s can be this year’s Rays. The rotation of the Orioles got treated like a child with a easily breakable toy. They break keep some of it then put it back together. But the thing is is the toy put back together nicely does it stay in it’s awful shape. I think it’s pretty good. You have Jeremy Guthrie who could be a Cy Young winer. NO I’M NOT OVEREXAGERATING!! !Then you have the guy who I’m really starting to take a liking to. Koji Uehara (上原 浩治). Like I said earlier this guy will get a lot of fans. I going to have to bring a cheat sheet with basic Japanese phrase in English and Japanese for things like Get A Strikeout Koji!! The Orioles outfield seems like an outfield that could be one for the record books. You have Nick Markakis who somehow hasn’t won a Gold Glove, Adam Jones: the crown jewel of the Berdard trade and the tag team of Scott and Wiggington. Thats an outfield loaded with potential. The infiled is solid too. You have a palyero f the month at third, a gold glover at short, and All-Star at second and a guy who hit for the cycle at first that makes the infield sound pretty good. The thing is those guys are Melvin Mora, Cezar Izturus, Brian Roberts and Aubrey Huff. With the aqusition of Izturus the O’s found a reliable shortstop. Last year I’m not sure which there were more of, shortstops starting at sunday home games or wins at Sunday home games. The backstop is the main interest. The $1,000,000 for me and every O’s fan. When is Matt getting called up!!!! Here’s a trivia nugget. Gregg Zaun is related to Orioles broadcaster, WS MVP and ex first-base coach Rick Dempsey. Lissi won trivia yesterday with Ichiro and So Taguchi. I wasn’t expecting So Taguchi nor did I know that!! Today is a 4 out of 10.
Who gave up George Brett’s famous/infamous pine tar homer?